Another collection of fashion weeks has come to a close. As usual we spotted a few trends that we can likely expect for SS18. Designers leaned heavily on romance like Fragonard leaned heavily on innuendo. Pastels, puffs and sumptuous fabrics floated down runways in London, Paris and Milan. 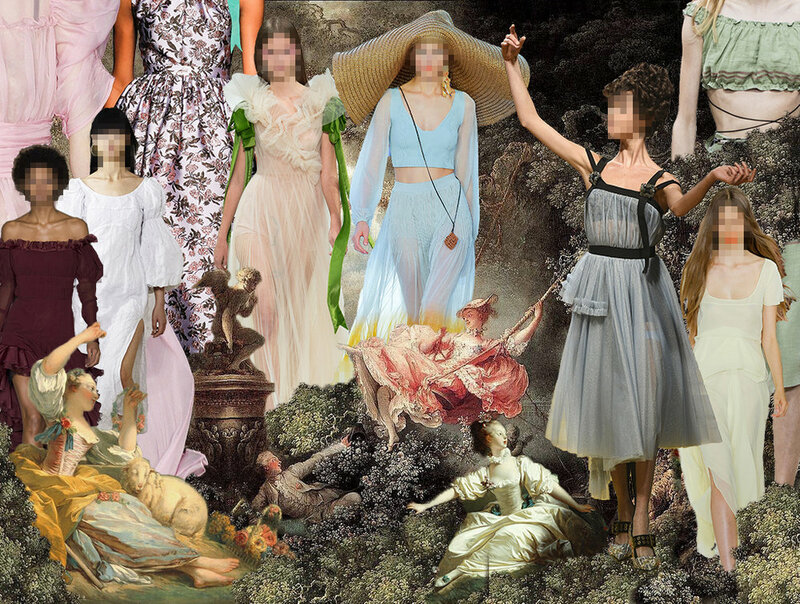 Spring 2018 should prove a frivolous feast for the eyes.